Americana is a nonprofit, independent press. We believe writers create our future popular culture and record our history thus must be supported as they express the hopes, dreams, struggles, and challenges of our age. In other words, your voice matters. Winners may be published by Press Americana and our imprints The Poetry Press and Hollywood Books International. We are open to all styles and genres. Blow us away. Submit 150-250 page manuscript to editor@americanpopularculture.com. Submit 75-150 page manuscript to editor@americanpopularculture.com. 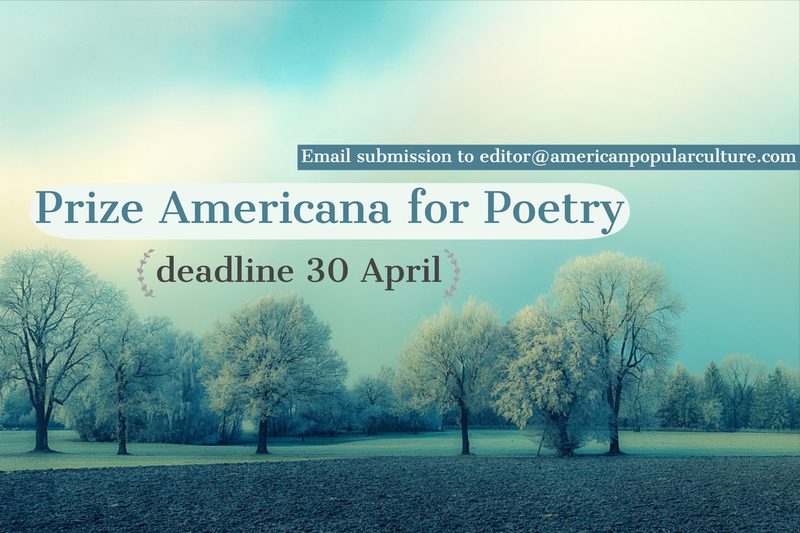 1) Submissions will be judged by members of the Board of Directors of Americana, the Advisory Board of Review Americana, and the Editor of Press Americana. All decisions will be considered final and will not be subject to dispute. Please note this contest is not judged by a single celebrity; rather, the winner emerges from a popular vote by many readers. We feel this process is more fair to writers. 2) We subscribe to the Council of Literary Magazines and Presses Contest Code of Ethics. As such, all submissions are reviewed blindly. 3) Winners of Prize Americana for Poetry may be published by The Poetry Press, the poetry imprint of Press Americana. They will receive the same contract as any other writer publishing through the press and will work with an editor for the press. 4) Winners of Prize Americana for Prose may be published by Hollywood Books International, the fiction/creative nonfiction imprint of Press Americana; nonfiction may be published through Press Americana. Winners will receive the same contract as any other writer publishing through the press and will work with an editor for the press. 5) Press Americana publishes in paperback only. Authors may make the decision to distribute in eBook format, Kindle. 6) American citizenship is not a requirement; the only requirement is that the work hold some appeal for an American readership and bear some relationship with American culture. 7) Manuscripts must be previously unpublished. Individual stories or poems may have been published in literary reviews etc., but the work as a whole should be available for publication. 8) All queries may be emailed to the Executive Director, Dr. Leslie Kreiner Wilson, editor@americanpopularculture.com.